SAN JOSE, CA -- (Marketwired) -- 05/31/17 -- Align Technology, Inc.(NASDAQ: ALGN) today announced a software upgrade for its iTero Element® intraoral scanners that includes the ability to compare patient scans over time with the new TimeLapse technology, providing general practitioner dentists and orthodontists with enhanced visualization, assessment and communication tools. In addition, with the 1.5 software upgrade, patient scans can be completed in as little as 1 minute with the same accuracy and reliability practitioners have come to expect from iTero® scanners. "The iTero Element is the gateway to diagnostics and digital preventative care," said Raphael Pascaud, Chief Marketing Officer, and VP iTero for Align Technology, Inc. "With the addition of TimeLapse technology and 1 minute scanning, practices can easily integrate the iTero Element during patient consultations for comprehensive and visual communication. 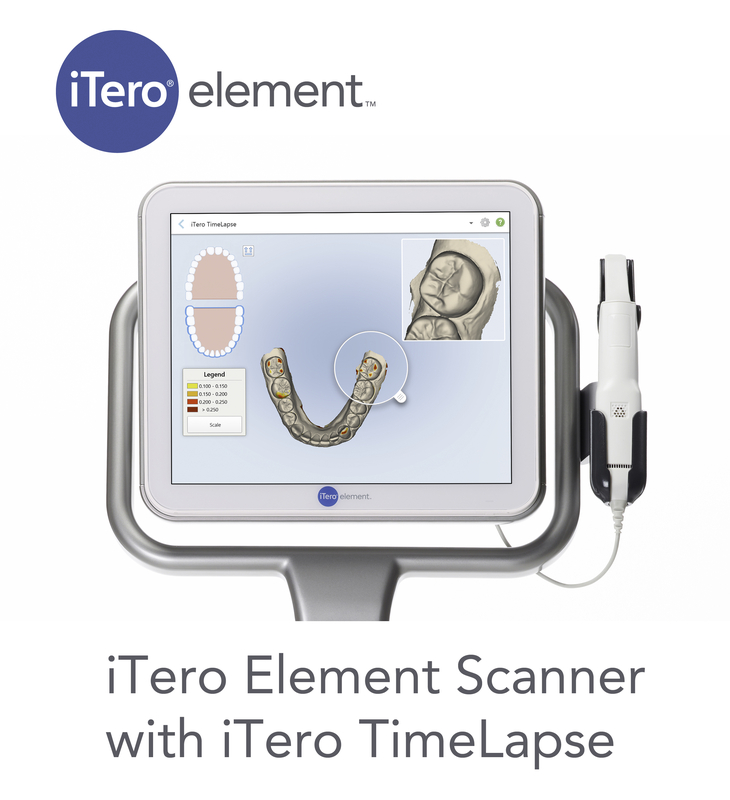 Only iTero Element has the breadth of applications and tools that include Invisalign® treatment, which can be leveraged by general practitioner dentists and orthodontists for a wide range of restorative or orthodontic solutions." TimeLapse technology allows doctors or practitioners to compare a patient's historic 3D scans to the present-day scan, enabling clinicians to identify and measure orthodontic movement, tooth wear, and gingival recession. This highlights areas of diagnostic interest to dental professionals and helps foster a proactive conversation with the patient regarding potential restorative or orthodontic solutions. One minute scanning makes it possible for practitioners to capture full mouth and bite scans in as little as one minute, which facilitates the integration of iTero tools into each patient consultation. Additional features such as Multi-Bite scanning, Optimized Scan Feedback, quick shut down, color improvement, and many more. The iTero Element enables dental professionals to provide high-quality restorative, orthodontic, and dental hygiene care which improve patient outcomes, increase office efficiency, and help grow their practices. The iTero Element 1.5 software upgrade will be available globally on June 5, 2017. For more information, please visit the iTero site at www.iterotimelapse.com or request a demo with an iTero sales representative.